Bollywood has forever shunned away from the C word in mainstream movies, but Anurag Kashyap goes no holds barred tackling the Caste issue in his glorious tour de force called Mukkabaaz. 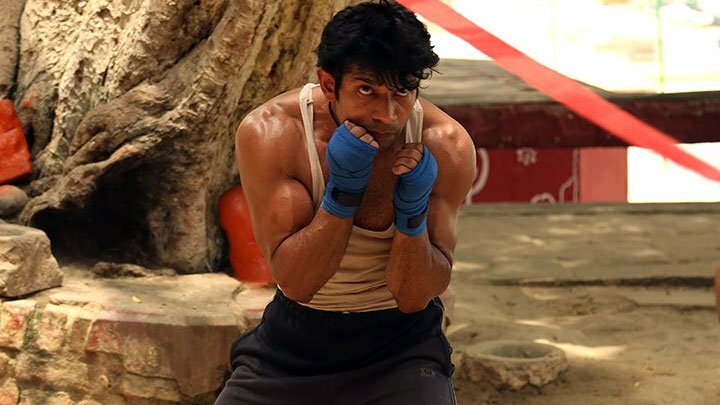 Not defined by any particular genre of romance, sports or political satire, Mukkabaaz holds its punches luring in the audience, a slight knock here and there in the first half, and delivers some delicious upper cuts once we tend to get comfortable. Bhagwan Das Mishra is the upper caste boxing organiser and political lynchpin who pulls all the threads in boxing related affairs in the state. Shravan Kumar, unlike his namesake in Indian mythology is not the perfect son to his parents (some very interesting conversations result from the parent-son dynamics) and an aspiring boxer. We are sent head first in the middle of Hindi hinterland via the cow vigilantism scene which seems like another day at work for Bhagwan and his goons. The central conflict of the film arises when Shravan lands a punch on Bhagwan Das, in part to rebel against his overlord, and in part to impress the wide eyed Sunaina whom he just met. Kashyap, like some of his other films (No Smoking), personifies himself in the lead character Shravan Kumar, a young man raging against the system. 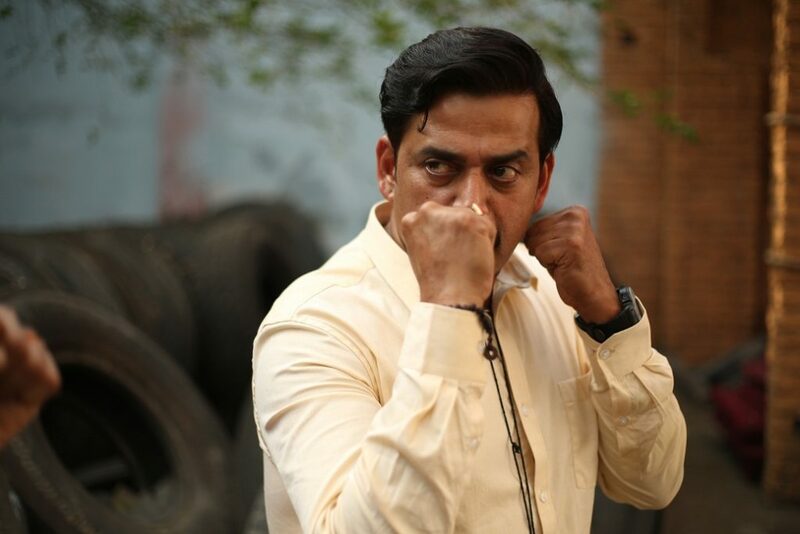 Kashyap’s jabs are as unsubtle as the ones from Shravan and Mukkabaaz is an act of maintaining delicate balance in delivering strength in the punches that he pulls, as well as masking them successfully from the censor board. The caste faultlines in the story runs deep, it is an inherently unfair world from the word go, and where surnames matter, more than your names. Bhagwan who is literally named after God, is the upper caste Brahmin. Shravan is somewhere in between, a Bhumihar or Kshatriya going by his surname, but his caste identity is only revealed in conversations with others, and there are enough hints from Bhagwan suggesting that he might be using Singh after his surname to feign as an upper caste. Ravi Kishan’s character is the only main Dalit character, who *Spoiler alert* is surprisingly easy to get rid of due to lack of social capital and doesn’t get any salvation out of the story. An interesting moment in the movie comes when Shravan’s office boss surnamed Yadav, makes him do peon work, videotapes him do so, and exclaims his ancestors used to work under Bhumihars, and how times have changed. When Shravan, disgruntled with the peon work asks the guard if he looks like a peon, he gets a fitting reply “Chaprasi insaan nhi hote kya?”. This is a deliciously complex world and Kashyap subverts our expectations to catch us off guard before delivering a blow. No praise is enough for Vineet Kumar Singh for delivering a tremendous visceral and physical performance, which goes far beyond than pumping muscles into the performance. Both Zoya Hussain and Jimmy Shergill are revelations in their respective roles, and the former with her expressive eyes perhaps saying more than any of the characters. But to me the best performance belongs to Ravi Kishan mainly because of the ease and honesty which he brings to the role. The supporting cast is brilliant as usual. The biggest treasure of Kashyap’s movies are the dialogues and Mukkabaaz delivers well on that front, with several witty crowd-pleasing verbal exchanges dripping with honesty. There were 4 different cinematographers involved in this project, and it seems like a case of the more the merrier and hence the boxing fights looks staggeringly real. Music is an important part of the film due to the fact that it tries to balance diverse tones in the same narrative. 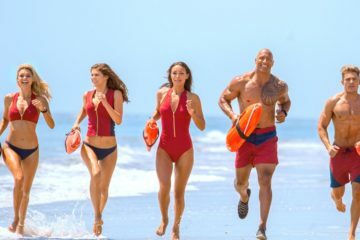 The narrative pace, however, falters somewhat in this balancing act, and the climactic scene suffers from some unimaginative writing. Mukkabaaz is not Kashyap’s best film, it is slightly longer than required, but perhaps it is his most important film with an urgent sense of immediacy which is currently absent from mainstream Indian film circuit. Part of an artist’s job is to help the audience make sense of the world around them, and Kashyap has done justice to the turbulent times we live in. When not watching movies, Souvik loves to watch Chelsea play, read anything by Yuval Noah Harari or listen to Steven Wilson.